"Both technical and easy to wear, this womens shirt will enhance the alpine wardrobe of lady trekkers and hikers with its check pattern and upbeat alpine colors. For outdoor getaways, the LD KINGS PEA K WOOL SS SHIRT actively contributes to thermal harmony during exertion. Crafted in DRYNAMIC WOOL BLEND, a polyester rich fabric with added wool, it utilizes wools natural thermoregulating properties to serve up a really nice soft feel on the skin, with superior moisture wicking ability boosted by the polyester and QUICKDRY finish. 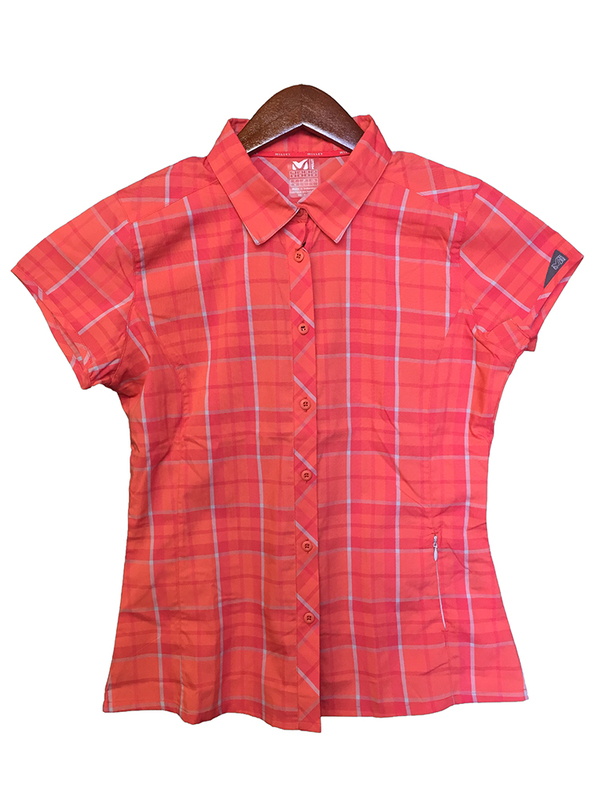 Offering quick drying, odor control and UV protection (UPF40+,) the shirt also has a discreet side pocket with hidden closure for a more feminine look. Lastly, eco friendly design credentials have earned it the LOW IMPACT label.